Definition: In human studies, pregnant women used the medicine and their babies did not have any problems related to using the medicine. Definition: In humans, there are no good studies. But in animal studies, pregnant animals received the medicine, and the babies did not show any problems related to the medicine. In animal studies, pregnant animals received the medicine, and some babies had problems. But in human studies, pregnant women used the medicine and their babies did not have any problems related to using the medicine. Some insulins used to treat diabetes such as regular and NPH insulin. Definition: In humans, there are no good studies. In animals, pregnant animals treated with the medicine had some babies with problems. However, sometimes the medicine may still help the human mothers and babies more than it might harm. No animal studies have been done, and there are no good studies in pregnant women. Definition: Studies in humans and other reports show that when pregnant women use the medicine, some babies are born with problems related to the medicine. However, in some serious situations, the medicine may still help the mother and the baby more than it might harm. Definition: Studies or reports in humans or animals show that mothers using the medicine during pregnancy may have babies with problems related to the medicine. There are no situations where the medicine can help the mother or baby enough to make the risk of problems worth it. These medicines should never be used by pregnant women. The FDA is changing prescription medicine label information and the pregnancy part of the label will change over the next few years. 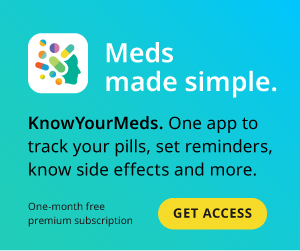 As this prescription information is updated, it is added to an online information clearinghouse from the NIH and the US National Library of Medicine called DailyMed that gives up-to-date, free information to consumers and health care providers.